Late-season fishing in Alaska: what’s biting and where to catch it! Interior – Winter months are prime season for ice fishing in Interior Alaska, but during end of summer and fall months the state’s largest river system offers plenty of fishing opportunities as well. Fly fishers will enjoy the abundance of Arctic grayling and anglers regularly trek to the Interior for lake trout, sheefish, Dolly Varden and Arctic char. Northern pike is also a valued fish resource in this region. Thanks to the state’s fish stocking efforts over the years, there are land-locked rainbow trout fisheries in more than 100 lakes in Interior Alaska. Southeast – A sport angler will never run out of opportunities to fish here year round for wild trout, all five species of Pacific salmon, halibut, lingcod, rockfish and a variety of other species. Opportunities for both freshwater and saltwater shoreline fishing for salmon are abundant around most Southeast communities. The state’s largest run of steelhead can be found in the Situk River in Yakutat, averaging more than 7,000 steelhead a year. It also supports runs of all five species of Pacific Salmon, cutthroat trout, rainbow trout and Dolly Varden. 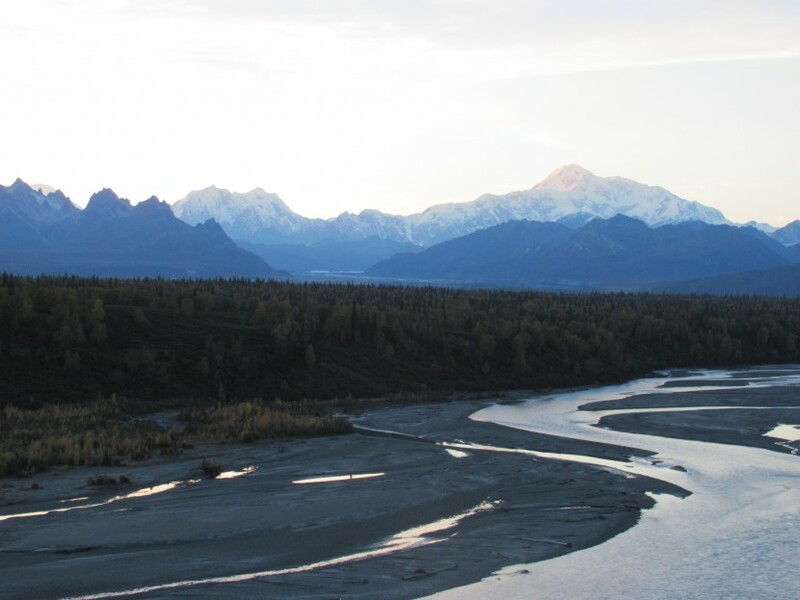 Southcentral – A convenient road system, rivers, lakes and long stretches of shorelines lush with fish accompanied by some of the most exquisite scenery Alaska has to offer make Southcentral Alaska a win-win kind of place. Great fishing can even be found right in the middle of Anchorage, Alaska’s largest city, or from the deck of a boat cruising the glittery waters of Prince William Sound, where salmon, lingcod, rockfish and halibut bite year round. Dolly Varden and rainbow trout explore Southcentral’s freshwater lakes and streams, and additional species such as northern pike, burbot, and Arctic char can be found in numerous locations along the Alaska road system. Alaska is synonymous with world-class fishing. According to the Alaska Department of Fish and Game, there are 3,000 rivers, 3 million lakes and 6,640 miles of coastline. Fish are literally everywhere in this state, and thankfully you don’t have to rely on Google to tell you where to hook them. Aside from guides galore, our staff at all five lodges is well versed on what is biting in the area during any given time of year.